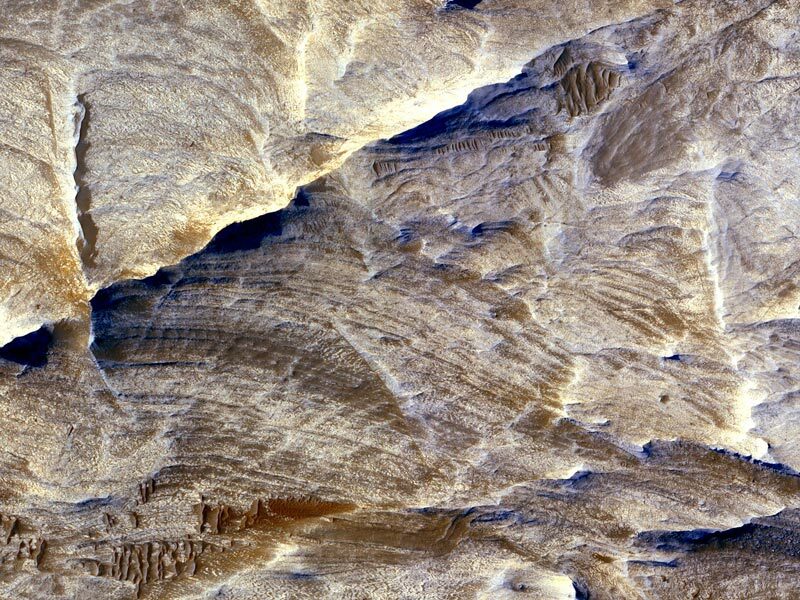 Explanation: What created these white ridges on Mars? The images showing the white ridges, including some of the highest resolution images ever taken from Martian orbit, were recorded last year by the Mars Reconnaissance Orbiter (MRO). 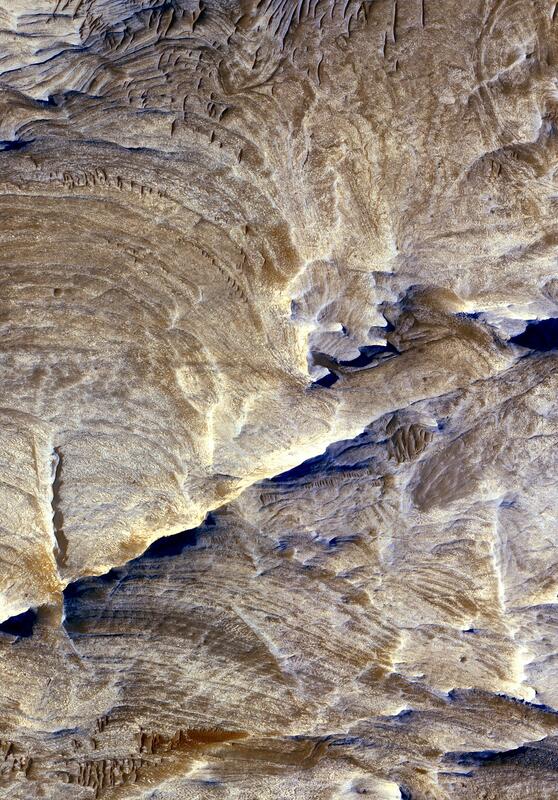 A current leading hypothesis is that the white ridges formed as water flowed through underground cracks and bleached and hardened the edges of surrounding rocks. Over millions of years, surface winds eroded the darker rock leaving the raised white ridges. Such water-created light-colored markings are well known here on Earth. The hypothesis is particularly interesting as underground water could have helped to support microbial life on the red world. The above image resolves surface features as small as one meter across in Candor Chasma region of huge Valles Marineris on Mars.